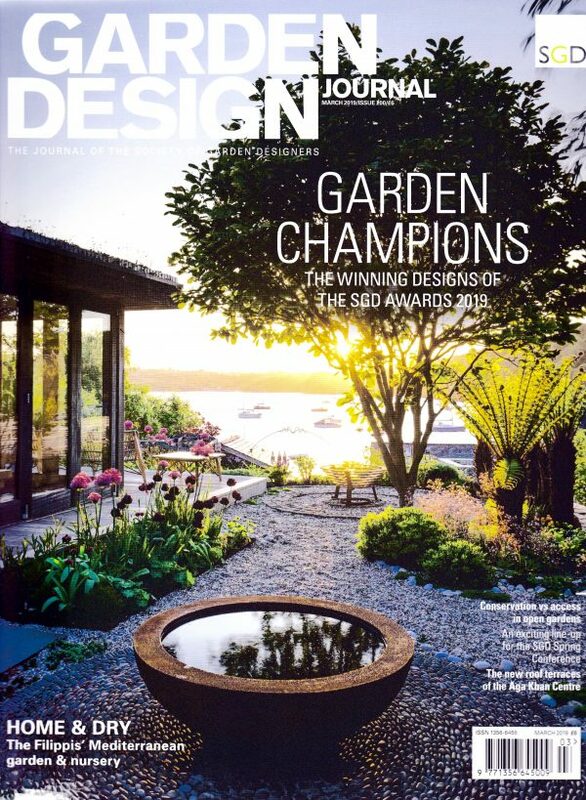 Our Rusty Lily water bowl has pride of place in Sam Westcott’s garden design which has won ‘Fresh Designer Award’ in the SGD 2019 awards. 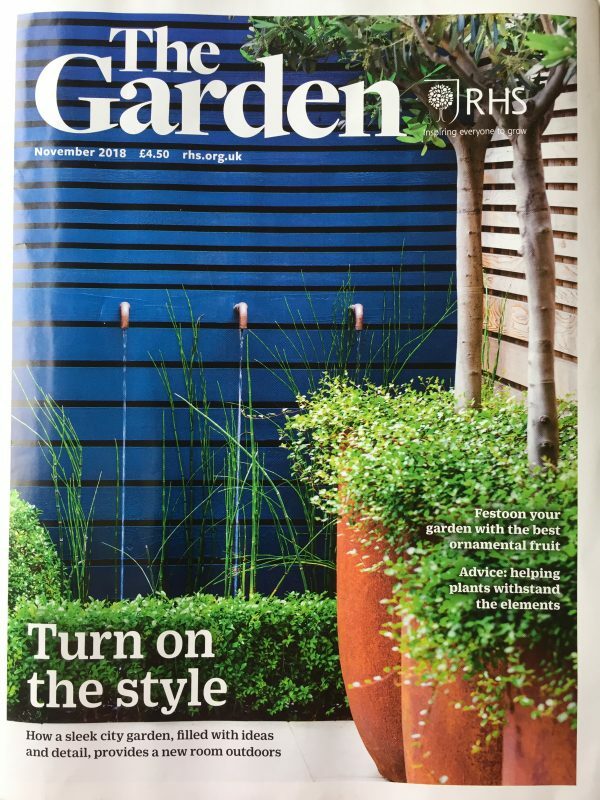 Our Rusty Axis 75 planters featured on the cover of the RHS,’The Garden” magazine in a stylish garden designed by Garden Club London. 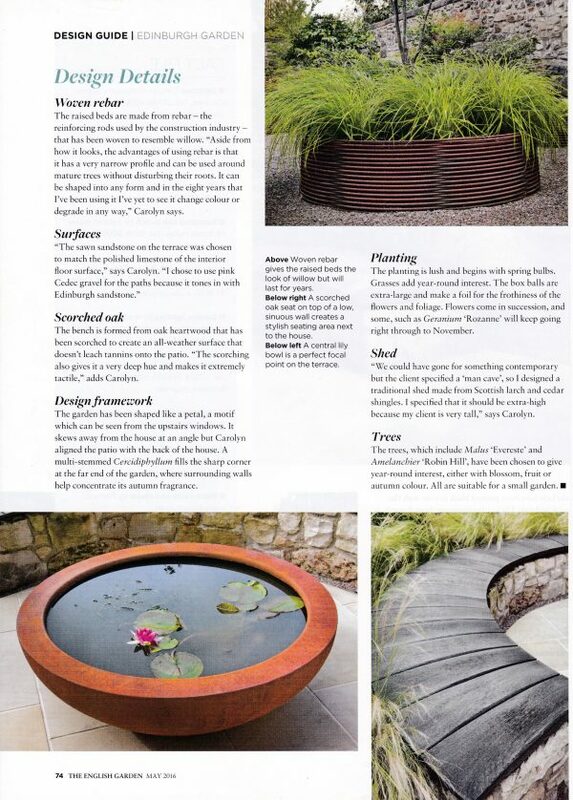 Our Rusty Lily Water bowl is central to the design of this BALI award winning townhouse garden in Edinburgh designed by Secret Gardens and Water Gems. Urbis Large Lily Bowls in white beautifully planted by James Aldridge Garden Design in a BALI award winning London roof terrace garden. 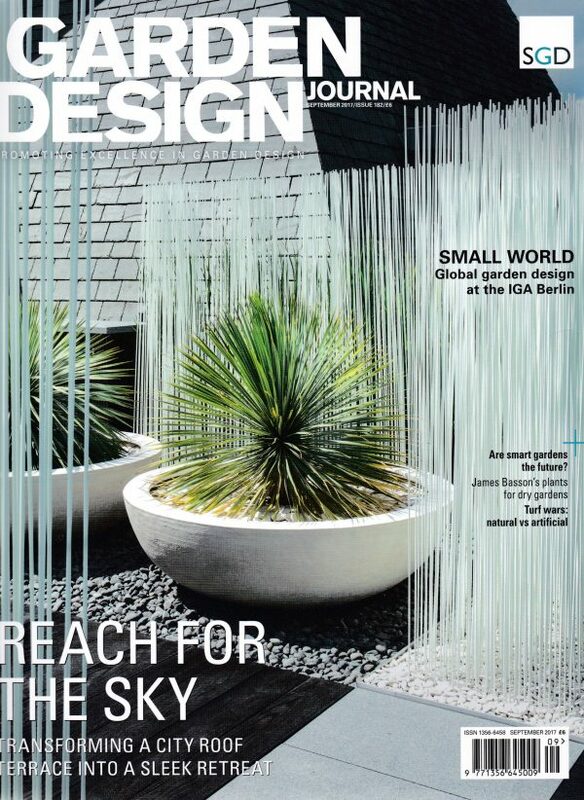 On the cover of the Garden Design Journal is the SGD award winning roof terrace designed by Wilson McWilliams featuring our Rusty Globe planters. 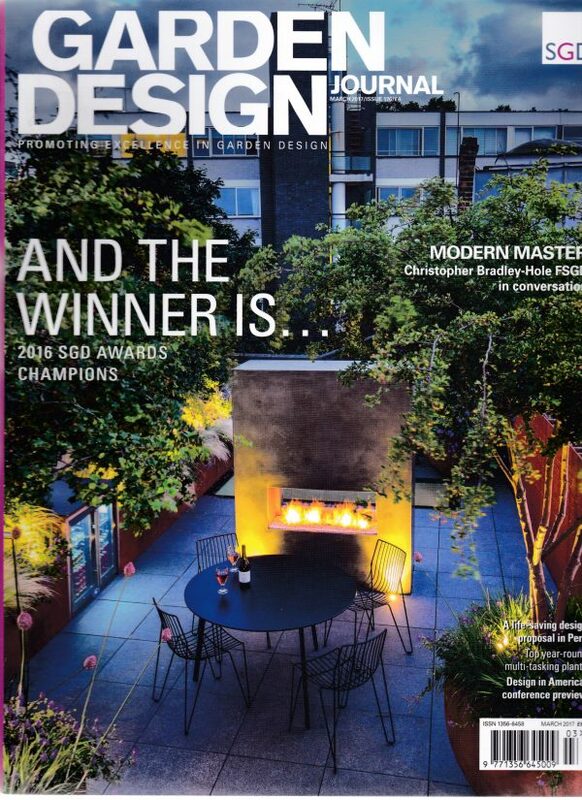 The garden won both the Roof Garden Award and the Hardscape Award. 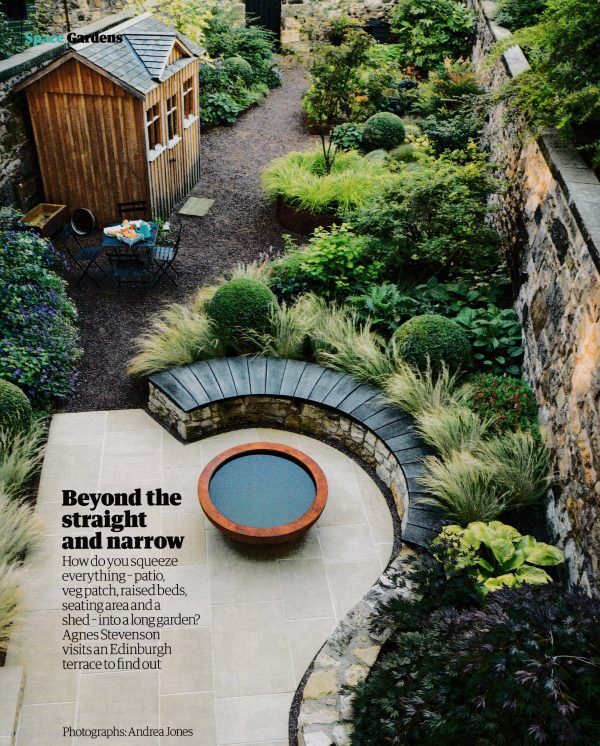 The English Garden magazine also featured the garden of this Edinburgh townhouse designed by Carolyn Grohmann which included our award winning Rusty Lily water bowl in the centre. 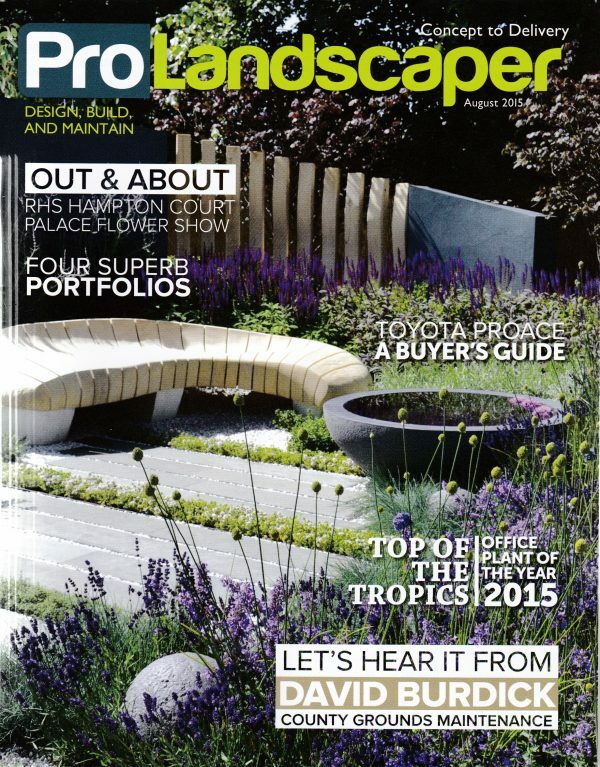 Rae Wilkinson’s award winning garden at RHS Hampton Court 2015 which featured our Urbis Lily water bowl and Olive planters is featured on the cover of ProLandscaper magazine. Our Poppy Bowl as described by Joe Swift on BBC Gardener’s World . The garden featured was designer Selina Botham’s of Designs for All Seasons. 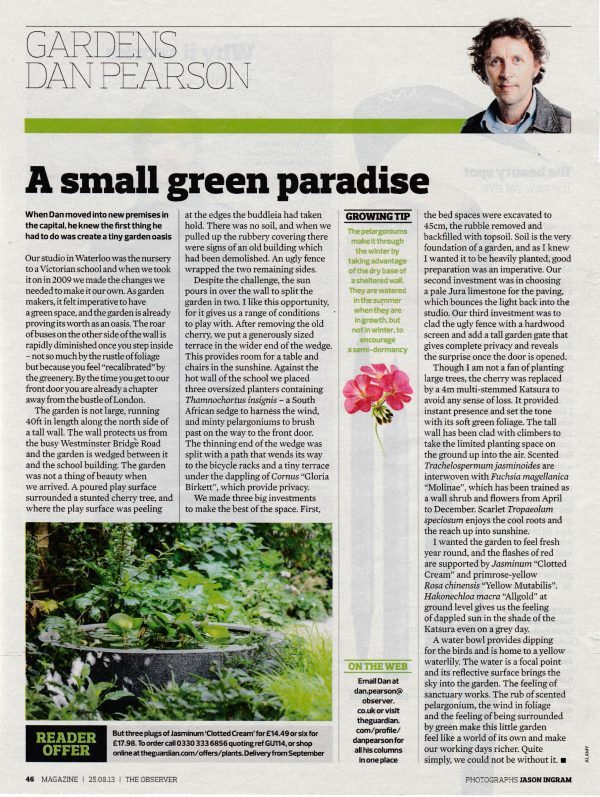 Dan Pearson wrote about his studio garden for the Observer magazine. 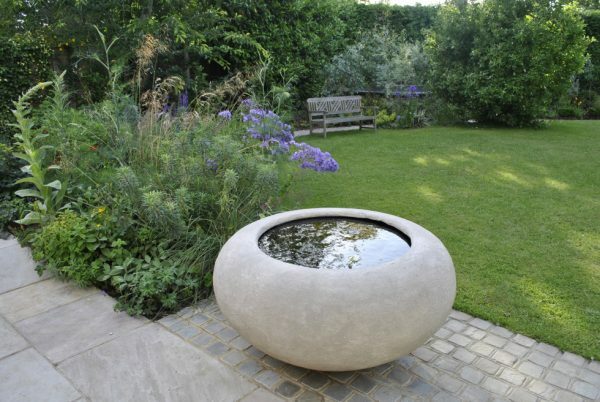 He used our Discus water bowl filled with a waterlily as a centrepiece in the garden. 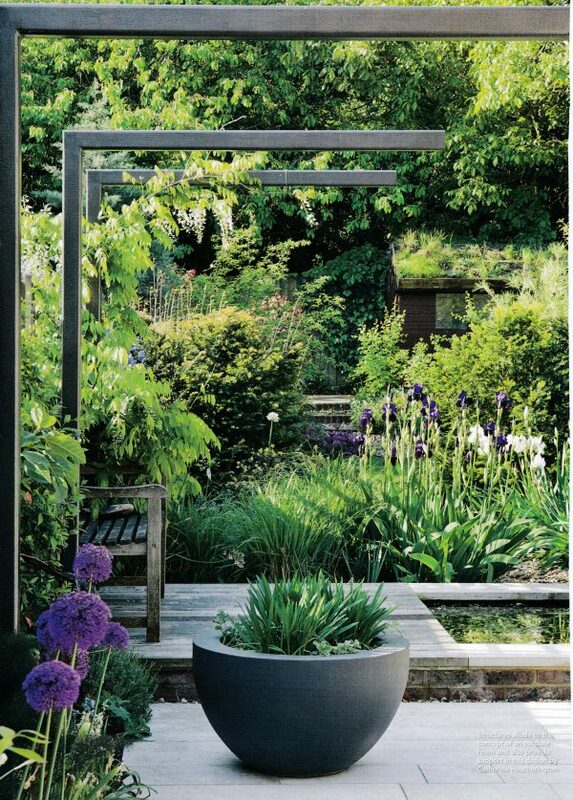 Urbis Design’s Mortar 60 planter takes pride of place in Catherine Heatherington’s garden design as featured in both ‘Livingetc’ and in ‘The English Home’ magazine.